Say goodbye to tummy rumbling, indigestion, loose stool and diarrhea. 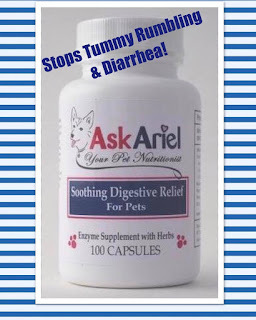 Soothing Digestive Relief For Pets is a natural remedy that relieves tummy aches in dogs and cats. All-Natural, No Fillers, Safe Digestive Aid Can Be Used Every Day. To Learn More--Please click on the link.